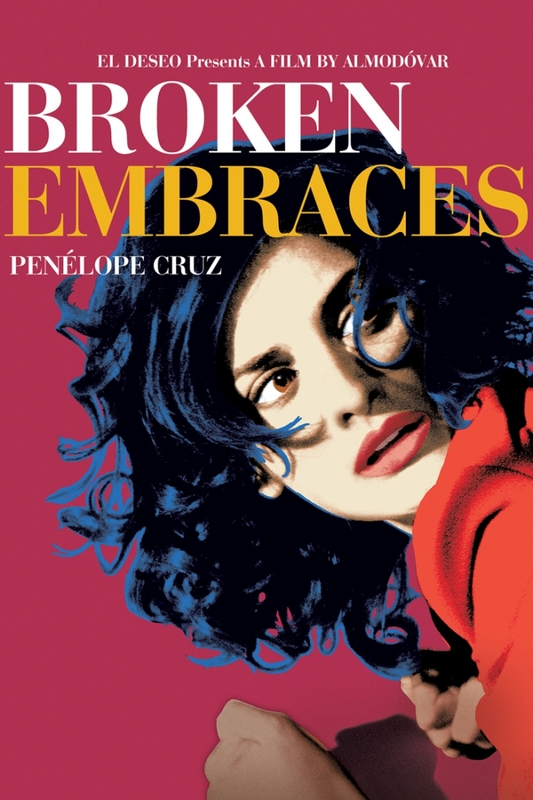 "Broken Embraces" is another movie whose interiors have caught my attention. The movie follows a young actress, not yet succesful, engaged but secretly in love with movie director. 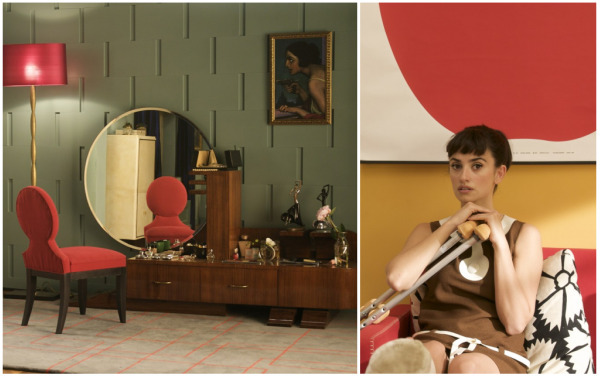 Pedro Almodovar creates fun and vibrant pop-art inspired interiors with famous pieces of furniture (not only interiors were pop-art inspired, the movie's poster is direct reference to Andy Warhol's Marylin Monroe photographs) that are here almost as important as the characters. Some of the interiors are inspired with Art Deco but still, in some scenes Art Deco is courageously combined with pop art elements. The effect would be kitsch in real interiors but works for the movie. I just love the movies where the interiors are so important. And as I also love colors watching this film was a visual feast for me. On the left - art deco, on the right - pop art. Both screens are from the movie. In the background yet another direct reference to pop art - see this tray with coca-cola bottles? This color combination - red, warm yellow, pastel blue - is classic sixties. Plus the big kitsch apple on the wall. 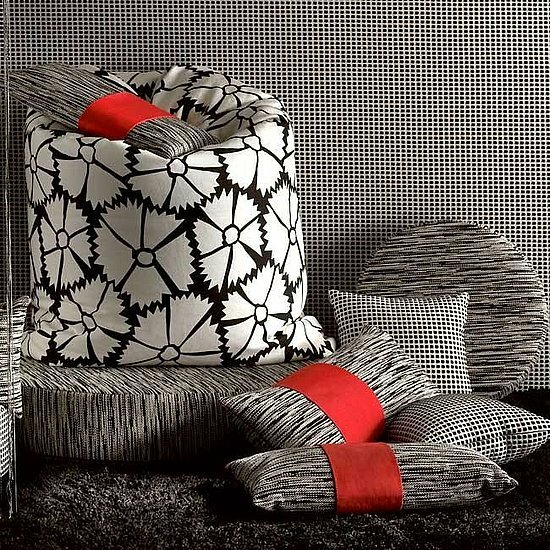 The contemporary floral pillows are from Missoni collection. Above, in the living room, there is classic sofa and chairs Utrecht (1935 by Gerrit T. Rietveld) and on the wall famous pop-art apple (1963) by Enzo Mari. In this set expensive high-end furniture is combined with cheap elements. Kitsch, you say? Yes, but in a movie set it doesn't bother me. On the terrace above there are some iconic pieces of furniture! 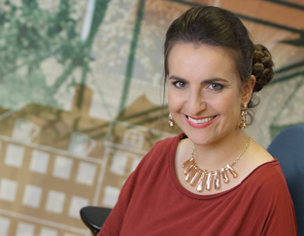 We can see Eero Saarinen table, Harry Bertoia white wire side chairs and Patricia Urquiola's chairs (see more below). Art Deco floor combines beautifully with the lying body in red clothes. This is one of very few completely "serious" sets. 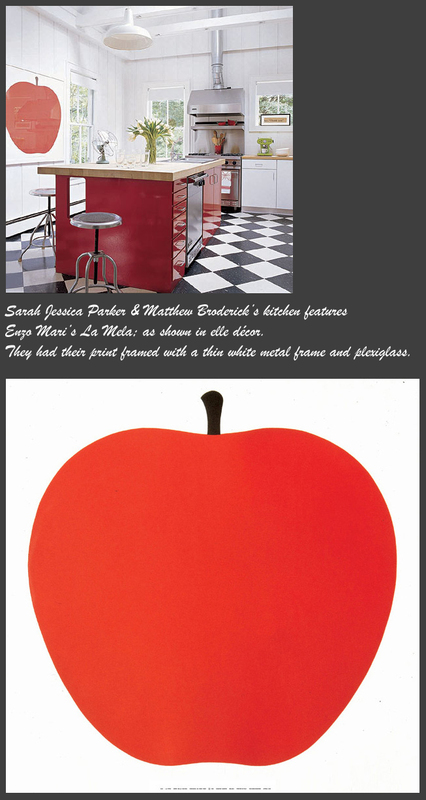 And HERE for example you can buy the apple :-) The apple is also hanging in Sarah Jessica's Parker and Matthew Broderick's kitchen (below).